The Crystallography platform has evolved significantly since its inauguration on May 20, 2003 to meet to our current expectations. 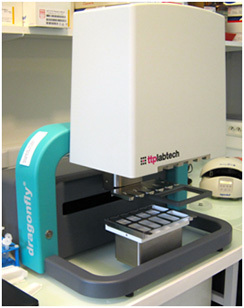 As of 2014 the platform is equipped with two latest-generation Mosquito pipetting robots allowing manipulation of biological macromolecules in viscous lipid phases and a distribution station (TTPlabtech) to prepare solutions used by the robots. 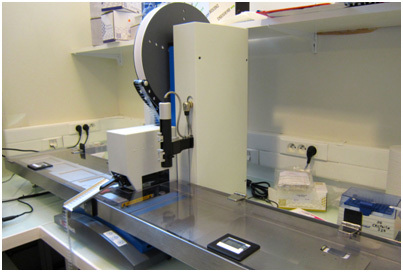 The platform is equipped with incubators (18°C and 4°C), Zeiss microscopes and an automated system for visualizing crystals.